Most people wear sunglasses only to make a style statement, but they don't know that this accessory offers several healthy benefits as well. If you're interested in buying a pair of sunglasses just to look great, you may want to make a choice considering the shape of your face. With so many types of sunglasses available in the market, it is obvious to become confused and you may select a pair that doesn't suit your face shape or personality. So, it is important to identify your face shape first and then select a pair of sunglasses with a few points in mind as listed here. Before you start looking for some sunglasses for round faces, it is important to ensure that you really have a round face. The characteristics of a round face are a rounded chin, fuller cheeks and a wide forehead. Your face will also be proportional in length and width. Once you know you have a round face, consider the following points to select the right sunglasses. When you have a round face, you should put your money on sunglasses with sharp, angular frames. 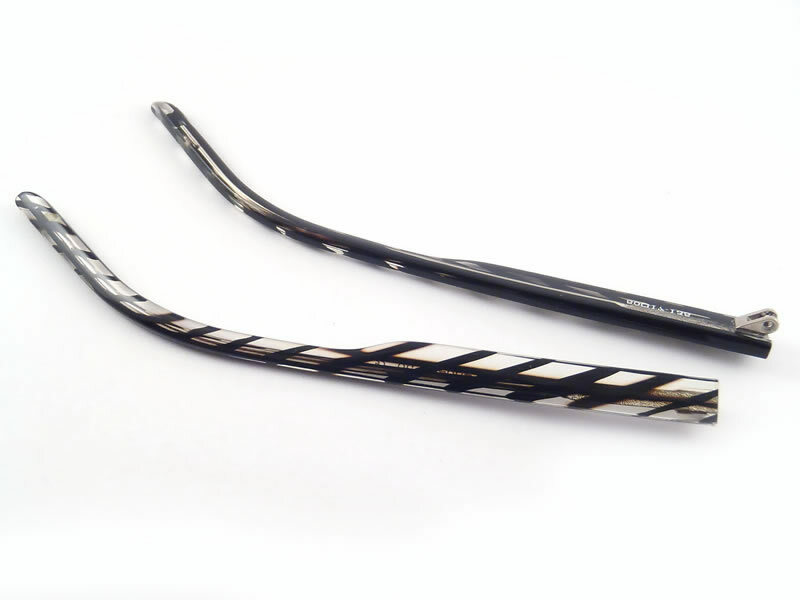 The angled frames will reduce the roundness of your face and provide your face with better definition. You can achieve the same effect with square sunglasses, rectangle shaped sunglasses and high framed sunglasses. They will make your round face appear a bit thinner and longer. Sunglasses with wide frames will also make your face look slimmer. 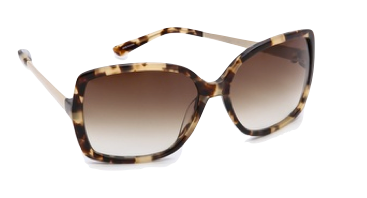 Just be sure to avoid soft or round shaped sunglasses because they will accentuate the roundness of your face. Wearing light colored lenses will also make your face look slimmer. If your sunglasses are too heavy, they will add to the roundness of your cheeks. Dark lenses usually look heavier as compared to light colored lenses. Therefore, you will be better off investing on lenses that are lightly shaded. Gradient lenses are just perfect for someone with a round face. It is important to pay attention to the design of the frame, especially where the temples join. The best sunglasses for round faces are the ones that have embellished temples because they give your face more definition and draw more attention to the top of your face. 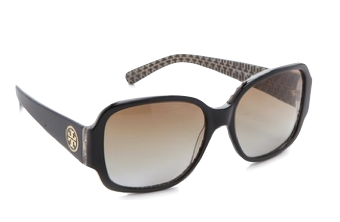 Yet another great choice for sunglasses for round faces is an upswept sunglasses frame. By accentuating the top part of your face, these sunglasses make your face appear slimmer and longer. Also known as "cat's eyes," these sunglasses move in an upward direction where the temples attach. They are quite popular with women, and were originally made known by celebrities such as Marilyn Monroe, Audrey Hepburn and Grace Kelly. It is true that you have to consider the face shape to buy the best sunglasses for round faces, but you also need to consider many other things to make a perfect purchase. Here are some nice tips to make it easier for you to buy the best pair of sunglasses irrespective of your face shape. Even if you're buying online, you can still spend some time trying a few sunglasses in a store near you. This will give you an idea about how different sunglasses compliment your face shape. 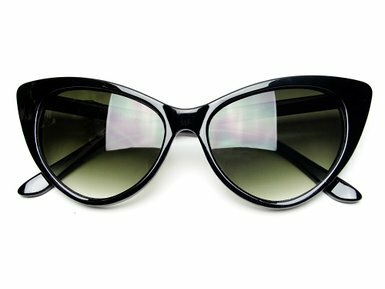 For example, if you know that "cat's eye" looks perfect on you, you can go online and order a pair from your favorite store. As with clothes, certain colors of sunglasses can affect your complexion in a negative way. While colored frames definitely help add a touch of individuality to your personality, you will be better off buying a pair that goes well with your skin complexion and hair color. Buying a pair of sunglasses for round faces is not that hard if you have gotten the ideas mentioned above, but you can make a better choice by paying attention to the length of your hair. With a change of hairstyle, you can make your face look slimmer. In that case, you will need different sunglasses to compliment your personality. In particular, short hair can expose your features, so you need to buy a pair of sunglasses accordingly. While you can make a good decision by following the tips, there are actually no rules set in stone. You can always experiment with different styles, colors and shapes of sunglasses to select something that makes you look great. Yes, so many people are already wearing the classics, but they are considered the best for a reason. Don't discard the option just because you need something different. Try them to see how they compliment your personality. Moreover, you can also find limited edition classics that may have slight changes and additions to help you make a better style statement. What's more, you should understand that sunglasses are worthy of investment, so don't shy away from shelling out some money to get the finest pair for you. Cheap knock-offs are aplenty, but they won't add any grace or style to your personality. So, take your time, do some research, and get the best sunglasses for round faces.